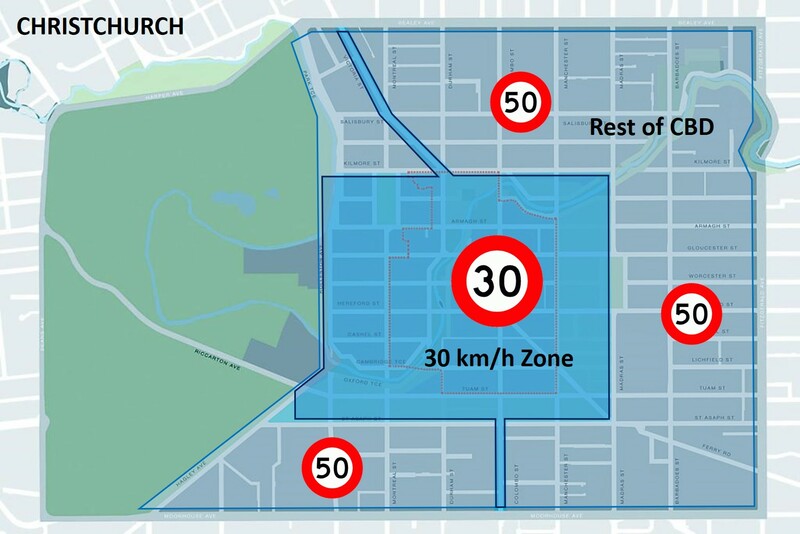 In March 2016, Christchurch City introduced a 30 km/h zone within the central city. 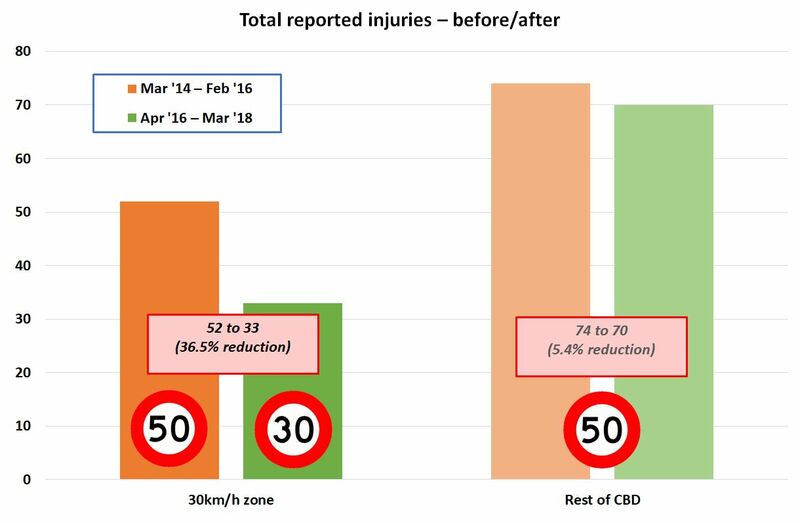 Two years on, here's an updated analysis by Glen of safety impacts of this lower speed zone, using the surrounding remainder of the CBD as a "control" comparison. Reported injuries: down 36% vs previous two years. Reported injury crashes: down 25%. All while vehicle and foot traffic have been growing with businesses returning to city. 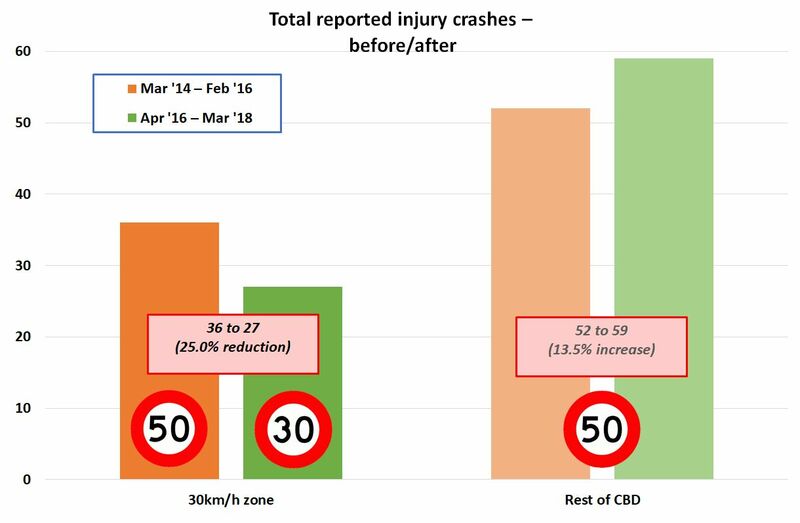 This is no real surprise, as the safety benefits of lower speed zones have been observed and researched worldwide for a long time. Some of this evidence formed part of the rationale used by ViaStrada when we undertook an investigation into a potential central city slow core for Christchurch way back in 2010 (even before the quakes forced a major review of transport in the city).